QUEENSLAND voters never chose Fraser Anning to represent them. He is our accidental Senator, called up off One Nation's electoral bench when former senator Malcolm Roberts fell foul of the Constitution during the dual-citizenship crisis. 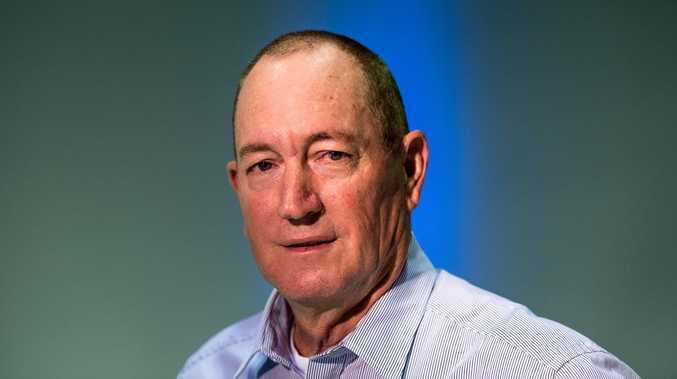 Senator Anning's handful of speeches in the chamber representing the needs and views of Queensland farmers have been far too few. He would rather focus on fighting an ideological war instead. A war that, while it may appeal to some sections of society, does not further the interests of his constituents. A war that, more often than not, has disgraced his home state. A state that relies heavily on tourism and international trade. He has become a state and a national embarrassment. It is time for him to go. It is time for Queensland voters to choose someone who will spend more time fighting for them in Canberra, rather than someone more focused on fighting to build their personal brand by whatever means possible in order to save their ­political skin. Had Senator Anning not run under the One Nation banner at the 2016 federal election, he would never have stepped foot in the Senate. He knows this. The 19 single votes he personally attracted at that election are all the proof he needs. So having dumped One Nation and then been dumped by the Katter's Australian Party, Senator Anning is now doing his darnedest to be relevant to someone, somewhere. His "final solution" maiden speech, delivered while still a member of the KAP last year, gained him notoriety. His subsequent attendance at a far right rally in Victoria this year, on the taxpayer dollar, landed him on the front pages of major newspapers. But he knows this is not enough to help him gain enough of the Senate vote in Queensland to remain in the chamber following the looming federal poll. 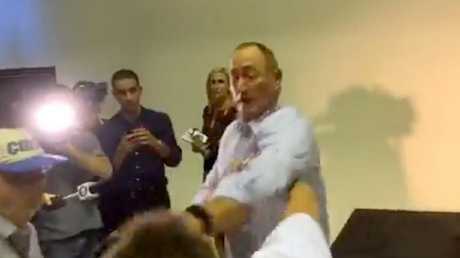 Senator Fraser Anning hits a 17-year-old boy who egged him at a Melbourne far-right rally. So on Friday he decided to do something even more desperate and divisive. He decided to pollute the public dialogue over the horrific, senseless murder of dozens of innocent people in Christchurch with a disgraceful, inflammatory, ignorant, ill-informed and unedifying statement likening the murderous rampage to vigilantism. While our political leaders were leading from the front and calling the act of terrorism out for what it was, Senator Anning was blaming the victims for their deaths at the hands of a white supremacist madman. His clumsy, nonsensical, hateful statement was so over the top that at first people thought it was fake. If only it was. No matter your views on immigration and religion, no right-minded human would believe the gunning down of innocent people simply exercising their right to practice a religion of their choosing in a peaceful manner was justifiable in any way. The heartbreaking and horrific events in Christchurch should only serve to provoke self-reflection among politicians who have sought to scapegoat members of our society for political gain. Senator Anning has shown he is incapable of such self-reflection. He has been subjected to widespread admonishment from his peers. And when the federal election rolls around in about two months' time, the voters will finally have their chance to do the same.